The second 105 episodes of Northern Lehigh High School's daily morning news broadcast, The Dog Dish, are collected into a "Season 1: Volume 2" DVD release. Presented in an anamorphic widescreen format, this 3-disc collection also features interactive menus and uncut Sports Bite with Tyler Trumbauer interviews. The Dog Dish is produced by Nate Czarnecki, Kelcie Kramer, Marissa Marsh, Ruth Milburn, Samantha Pryor, Thomas Quigley, Nina Schnyder, and Tyler Trumbauer, with executive producers Christopher Bennett and Andrew Kern. 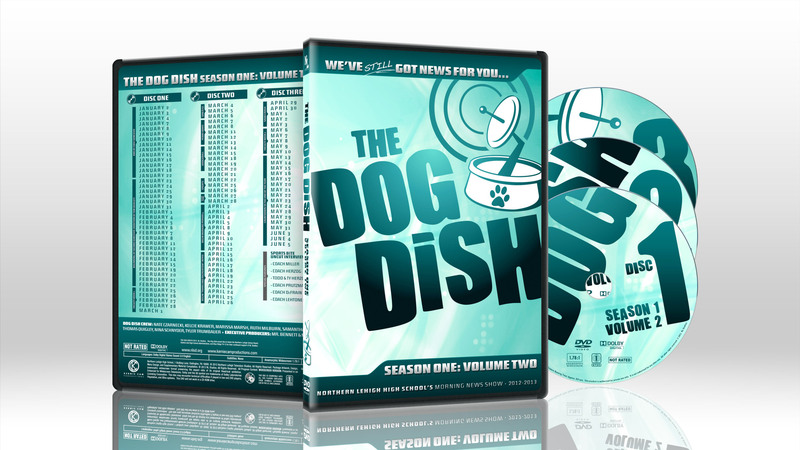 Below is the complete list of bonus content for Season 1: Volume 2 of "The Dog Dish."